I am Name Visible on Login. 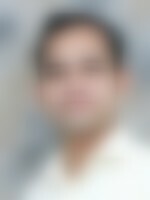 I am 29 yrs old residing at Malad (w). I am fun loving in nature. mom,dad,2 sisters & me. My mom is housewife, My dad is priest & both the sisters are happily married. I am working an assistant manager - credit control & MIS. I am searching for a girl who is caring, loving, sensible. Ours is a middle class, nuclear family with moderate values. We are a reputed family from Mumbai. My father is a businessman while my mother is a homemaker. I have two sisters, both are married.